In late February, the US Supreme Court ruled against the claim by the International Finance Corporation (IFC), the World Bank’s private sector arm, to absolute immunity from suit in the US. 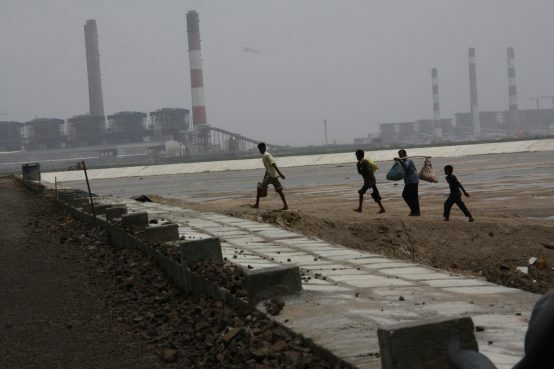 The case was brought by a community of Indian fisherfolk, represented by EarthRights International and the Stanford Law School Supreme Court Litigation Clinic, which sued the IFC for harm caused by the $450 million IFC-financed Tata Mundra coal-fired power plant in Gujarat, India (see Observer Summer 2018). The IFC claimed absolute immunity under the 1945 International Organizations Immunities Act (IOIA), which guarantees international organisations the same immunity as is enjoyed by foreign governments. Foreign governments’ immunity is now determined by the 1976 Foreign Sovereign Immunities Act (FSIA), under which states’ immunity cannot be granted in cases arising from their commercial activities. The plaintiffs’ case therefore rested on the argument that the IFC’s immunity – and that of other international organisations – should be similarly restricted. 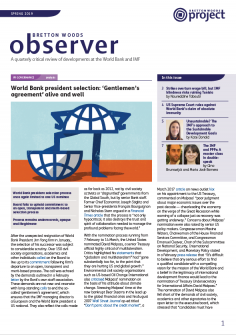 The Compliance Advisor Ombudsman (CAO), the IFC’s independent accountability mechanism, has a limited remit, as it has no power to enforce IFC compliance with its recommendations (see Observer Winter 2018). In addition, the IFC lacks resources designated to address harms caused by the projects it finances. Kindra Mohr, of US-based civil society organisation (CSO) Accountability Counsel, noted that, “It would be in the World Bank Group’s best interest to ensure that these [accountability] mechanisms are fully effective,” which would potentially avoid cases like this being brought to court. Questions remain about whether development finance constitutes “commercial activities” under FSIA, which will be now be tested in a Washington DC court.